to date as well as many innovations. erating expenses cut 50 per cent or more. pairs, fuel, water, and engine house expense. three-trick, seven-day service is rendered. celerating or "high-balling" on a transfer job. through tank cars or through tank trucks. Diesel-electric power of utmost reliability. 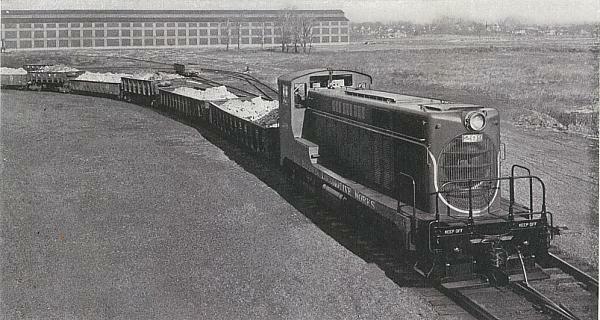 For Switching Around the Yards of its Eddystone Plant, Baldwin Uses This Standard 660-Hp. Diesel-Electric Locomotive.